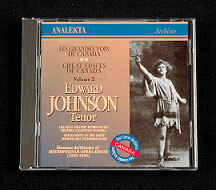 Emma Albani, Edward Johnson, Jeanne Gordon, Raoul Jobin, Sarah Fischer, Rodolphe Plamondon, Florence Easton, Pauline Donalda, Louise Edvina, Joseph Saucier, Eva Gauthier and Paul Dufault. 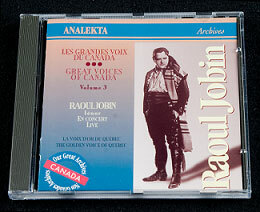 Travel back in time with these historical recordings from the Music Collection of Library and Archives Canada, in cooperation with Analekta Recording Inc. 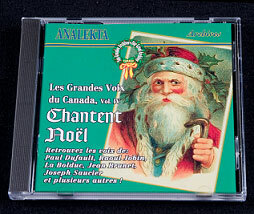 Experience the voice of Christmas past with this festive duo of historial recordings of Canadian Christmas music from the Music Collection of Library and Archives Canada, in cooperation with Analekta Recording Inc.